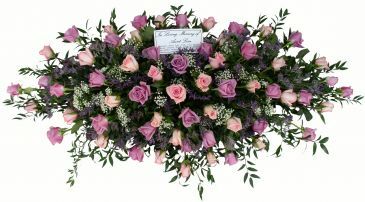 Here at Roxanne’s Flowers the florists are eager to answer any questions and assist you in choosing the best flowers available, at this time of year. 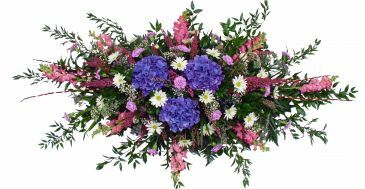 The sample arrangements on this site can be modified, for color, or to substitute for flowers that might be unavailable at this time. 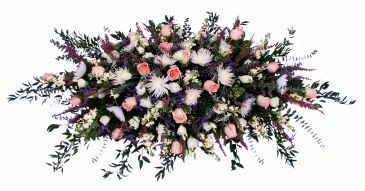 For the best service and personal attention to detail please call or even better stop in to our shop in Akron. 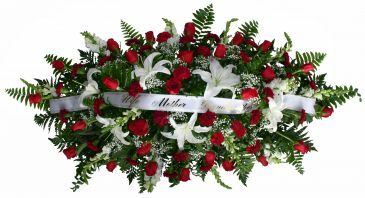 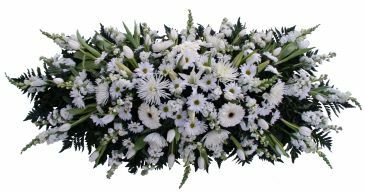 We deliver to all the local Funeral Homes in Ephrata, Denver, Lititz, Leola, New Holland, Lancaster City, and other towns near Akron, Lancaster County, PA.
Peach white and blue memory spray Used on or attached to the lid of the casket. 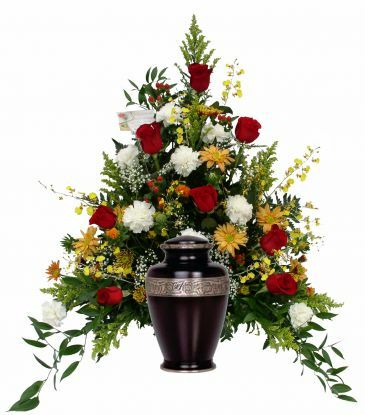 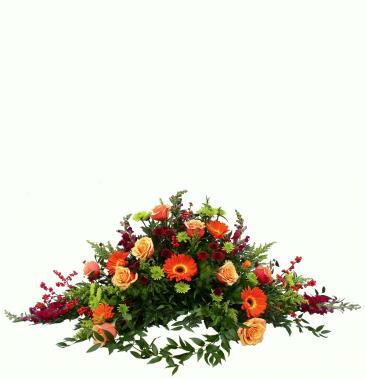 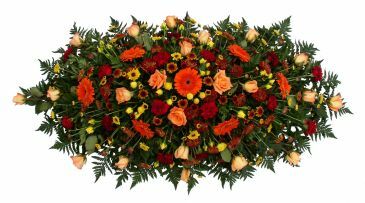 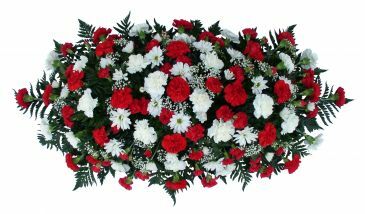 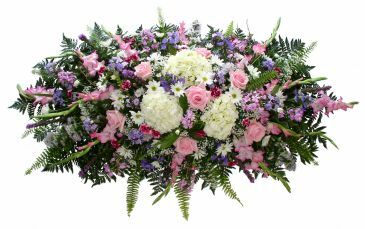 casket spray arrangement. 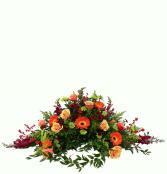 A beautiful collection of orange and rust color flowers. 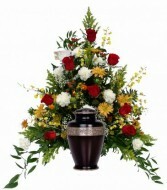 Used on or attached to the lid of the casket.